Anime Day: Check Out The Top 5 Best Anime Cats Of All Time! April 15th is Anime Day–a hashtag holiday celebrated by fans of Japanese animation all around the world! Obviously, anime is a genre that’s packed full of all sorts of cute and crazy feline action! Are you an anime fan and a cat lover? Then this is a holiday you don’t want to miss out on! Let’s dig straight into a roll call of the five most iconic anime cats of all time in honor of Anime Day! Kiki’s Delivery Service is a smart and tender coming-of-age anime from Hayao Miyazaki’s Studio Ghibli animation house originally released in 1989. The co-star of the flick is JiJi, a frequently perturbed black cat who finds himself caught up in Kiki’s adventures as she launches a witch delivery service. Jiji also has a solid line in cynical barbs. Sailor Moon fans know all about Luna and Artemis, a couple of cats who feature in the anime series. Together, the kitties are responsible for helping to guide the Sailor Scouts along in their grand adventure to locate the princess. The two cats are easily identifiable by the crescent moons on their foreheads. Everybody loves Chi! She’s the tabby cat star of her own show, Chi’s Sweet Home, and is guaranteed to charm viewers with her large, expressive eyes. Imagine a world where public transportation takes the form of a giant tabby cat with extra legs who zips and zooms around the world with speedy skill. 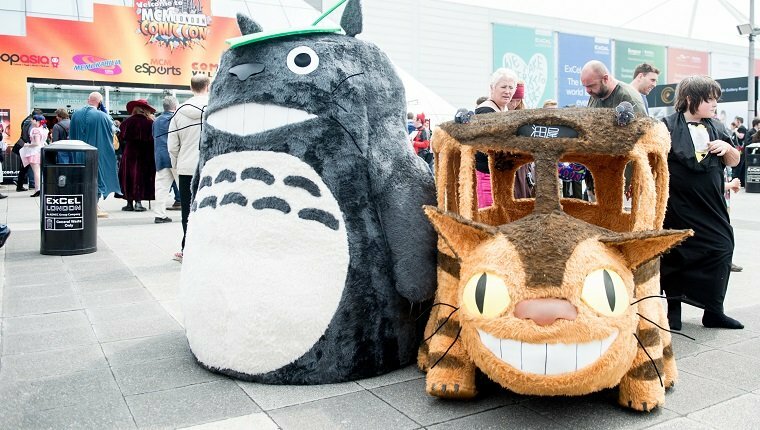 That’s exactly what happens with the Catbus from another Studio Ghibli classic, My Neighbor Totoro. We’ll let you decide if the cat bus looks like a friendly, furry way to get around, or if it makes for nightmare fuel. The worldwide Pokemon craze has stayed strong for well over two decades now, and feline fanciers know all about the talents of Meowth, a cat who developed the ability to speak human languages. According to Pokemon lore, there’s some Persian going on in the cat’s genetic mix. But Meowth has yet to evolve into a Persian in the anime. Why mess with perfection? Did we miss your favorite anime cat? Would your kitty make a good star of an anime? Let us know in the comments below!